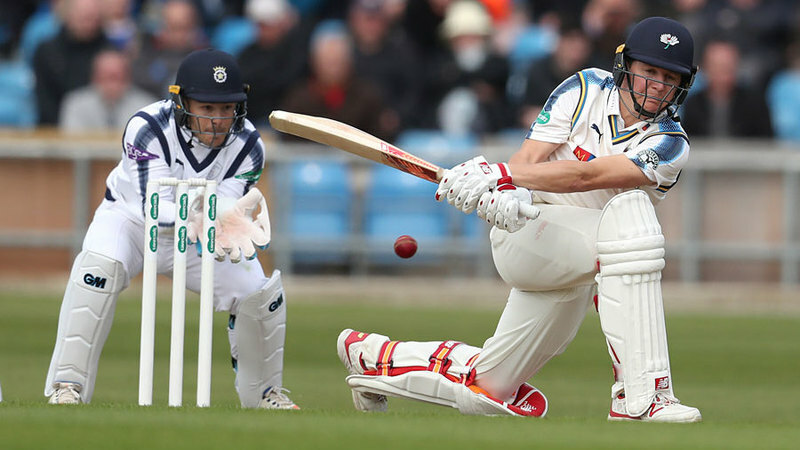 Gary Ballance is colour blind - but Yorkshire loyally insist that a floodlit round of Championship matches, beginning today, will not be in insurmountable problem - partly because the pink ball has a pronounfed black seam which will help differentiate it against a white sightscreen. Ballance plays in the first two days before heading off to England Lions as a cramped fixture list continues to cause havoc. For the floodlit round, England batsman are available, but the bowkers are absent, their chance of practice with the pink ball in match conditions severely limited. History has been made irrespective of the floodlights in Cardiff, where Derbyshire gave a debut to Hamidullah Qadry, a 16-year-old off-spinner who has become the first player born in this Millennium to play in the Championship. Well gents, it's been a good evening but I think I'm done for the day. Nice to be able to join in without my work suffering for once. See y'all soon! Leics. just launching nightwatchman into the firing lines as meatshields.